Our winemaking style is founded on producing wines that show a true ‘sense of place’ and celebrate the individual characteristics of each unique vintage. To ensure the integrity and delicate characteristics of the fruit, the grapes are received and vinified in Tasmania’s most advanced winery with emphasis on the wine being an expression of its terrior. In all of our wines balance is the ultimate focus, striving to marry fruit, natural acidity, structure, tannin and texture. The use of state-of-the-art technology for traditional winemaking techniques enables a gentle, minimal intervention approach which allows the subtle and delicate flavours of our cool climate vineyard to be expressed to their full potential. Joe fled his war-torn Czech village in 1950 as a penniless 20-year-old after eleven years of Nazi and Soviet occupation. He escaped across borders guarded by minefields, dogs and soldiers, suffering five months of privation before immigrating to Australia. Over the next 40 years he used his skills as a Master Butcher and Smallgoods Maker to build his business, Blue Ribbon Meat Products, into one of Tasmania’s leading brands. In 1993 Blue Ribbon was floated on the Australian Stock Exchange, and Josef used the money to invest in Tasmania’s fledgling wine industry. Since then Josef has owned and developed some of Tasmania’s leading wineries, including Rochecombe (now “Bay of Fires”), Jansz, Heemskerk and Tamar Ridge Wines. Why visit Josef Chromy Wines? Located in Relbia, a 15 minute drive south of Launceston and only 10 minutes from the Launceston Airport, Josef Chromy Wines is a Tasmanian must visit. The cellar door is located in the original 1880s homestead, surrounded by an expanse of established landscaped gardens with further views of the surrounding vineyards and lakes. It was listed as one of the Top 10 Cellar Doors of Australia and winner of Launceston’s Most Outstanding Visitor Experience in 2010. The homestead is also a dedicated wine centre which houses the Tasmania’s branch of Wine and Spirit Eduction Trust (WSET) and offers WSET Levels 1, 2 and 3 courses. The on-site restaurant showcases the very best in locally sourced regional produce matched with Josef Chromy’s award winning wines. 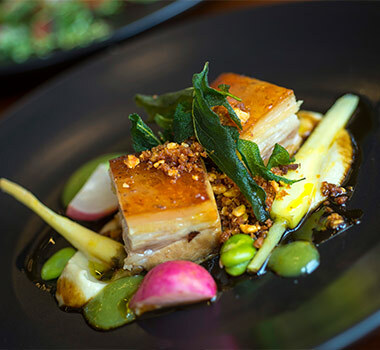 Everything is on offer - from a truly unique Tasmanian à la carte menu during the day to private cocktail parties, sit down dinners, gourmet BBQs in the gardens and harvest brunches during vintage. Josef Chromy Wines is home to Tasmania’s most advanced winery. The winery’s modern and minimalist exterior provides a home for some of the best winemaking equipment available to produce award winning Pinot Noir, Chardonnay, Riesling, Pinot Gris, and Sauvignon Blanc with subtle and delicate flavours expressed to their full potential. The winery is nestled at the base of it’s picturesque 60 hectacre, cool climate vineyard which runs tours every Sunday at 11 am. Jeremy has been with Josef Chromy Wines since it’s inception in 2006 and the wines produced reflect his own distinctive style. In a few short years Josef Chromy Wines has amassed over 15 trophies and 260 medals making it one of the most successful launches in the history of the Tasmanian Wine Industry. It is the careful attention of detail from Jeremy and his team that is paramount to optimizing wine quality and giving the wines their point of difference. 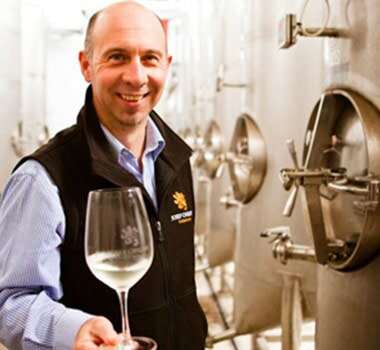 Jeremy completed a Bachelor of Viticulture & Winemaking at the University of Western Sydney and brings extensive wine industry experience having completed numerous vintages in Margaret River, McLaren Vale and Mitchelton in the Goulburn Valley. His intimate knowledge of Tasmanian viticulture and of the complexities associated with contract winemaking was attained during 5 vintages at Hood Wines with as many as 38 vineyards under his care. Josef Chromy OAM has been instrumental to the Tasmanian food and wine industry having owned and developed some of Tasmania’s leading wineries including Rochecombe (now Bay of Fires), Jansz, Heemskerk and Tamar Ridge.